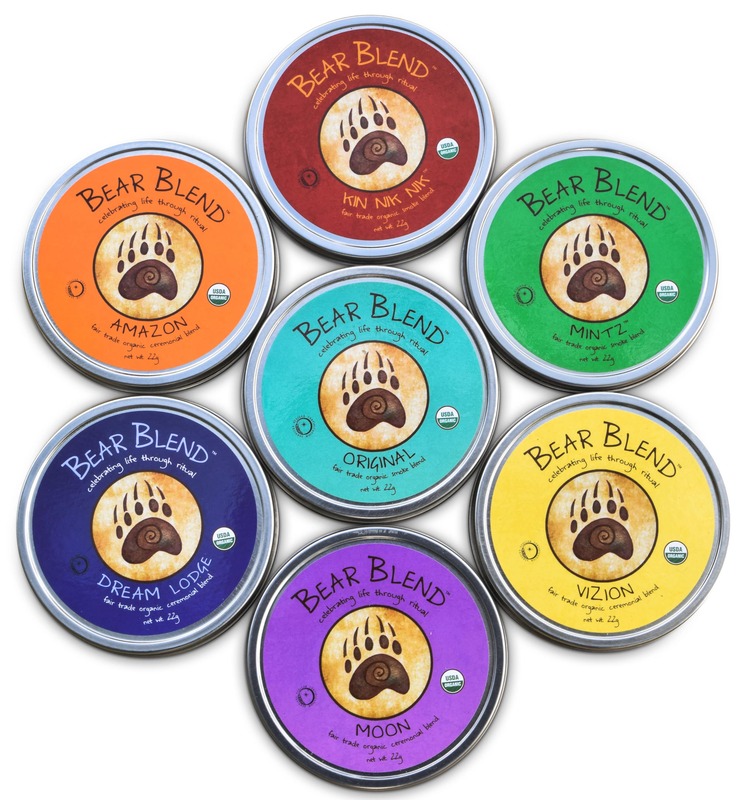 Get all 7 Bear Blend flavors: Amazon, Dream Lodge, KinNikNik, Mintz, Moon, Original or Vizion. Our smooth, aromatic blends of 100% USDA certified organic flowers and herbs can be used in a ceremony of your choice: smoke, drink, vape. Celebrate life through ritual. Great product, taste and smells like love 🙂 looking for one that will be stronger for my next purchase! I ordered the “Flower of Life” and am thrilled with the product. Shipping was excellent. Yes I tried all and can honestly say ALL are my favorites. Each blend has a unique fragrance and offers different levels of relaxation. Thank you Bear Blend..I and my friends and family will be life long customers!